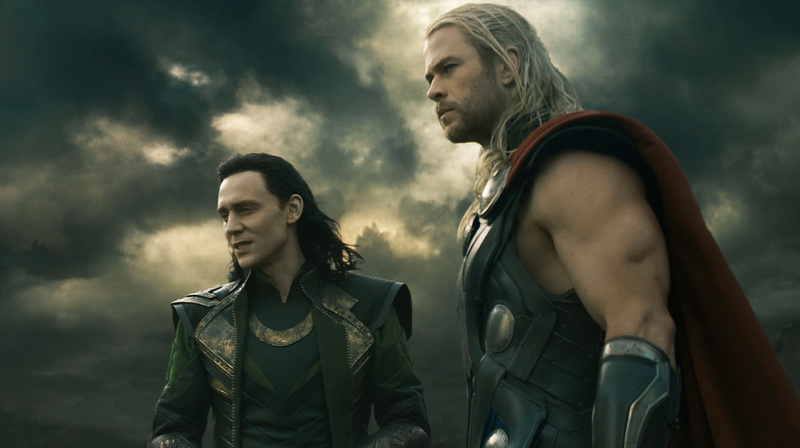 Thor: The Dark World benefited from increased character exposure in The Avengers last year to pull in $86 million over the weekend, a 31% improvement on 2011's Thor, which debuted with $65 million. The movie received an "A-" from the crowds, which were 62% male and 61% over 25, and should play well to take in over $200 million total by the end of its run. Its international haul is even more impressive, where The Avengers seems to have done some very real good for each one of the individual franchises, as Thor has already made $240 million after only 12 days. Mighty, indeed. Way behind In second place was Jackass, which took in another $11.3 million for a $78 million total, and it looks well on its way to finish with $100 million (which would make it the first Jackass movie to do so). The animated film Free Birds actually rose 29% from last week to $11.2 million (due to lack of family competition), and Last Vegas was right behind it with $11.1 million. In fifth place was Ender's Game, which plummeted 62% to a disappointing $10 million and will likely be seen as a failure, since the film did cost $110 million to make. In limited release, 12 Years a Slave expanded to 1000 theaters this weekend and pulled in $6.6 million, giving it a $17 million total as it continues to roll on successfully, drawing Oscar buzz and sure to make more as the awards start to come in. And other Oscar contenders Gravity and Captain Phillips are sitting at $231 million and $90 million respectively, making them both big successes in their own right. Next week Alexander Payne's Oscar-buzzed new film Nebraska comes out in limited release, along with the wide release of The Best Man Holiday. November 10, 2013 by Ariel Shavonne.